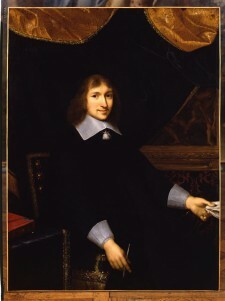 In 1641, the 26-year old parliamentarian, Nicolas Fouquet, purchased the manor of Vaux-le-Vicomte and its small castle. Twenty years later, in 1661, Fouquet had transformed the estate into a masterpiece whose château and gardens still feature among the most beautiful in France. For the first time in history, this visionary man brought together an architect, Louis Le Vau, a painter, Charles Le Brun, and a landscape gardener, André Le Notre, to execute jointly the entire project. The result of this fraternal union was a work of unparalleled harmony and beauty. Victim of a plot by jealous courtiers, Fouquet was arrested on the King Louis XIV’s orders and sentenced to life imprisonment in 1661. Vaux-le-Vicomte was closed down, and its treasures seized – tapestries, furniture, paintings, books and rugs… even the orange trees were removed by the King. It took Madame Fouquet ten years to recover the estate, to which she later retired with her eldest son. 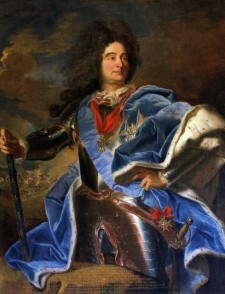 Following his death, she sold the Vaux-le-Vicomte in 1705. Marshal de Villars, a famous military commander, acquired the property sight unseen and enjoyed it for a few years before it was sold by his son in 1764 to the Duc de Praslin. His descendants kept the estate for over a century before putting it up for auction in 1875. Over the past 50 years, the abandoned château had lain empty and neglected, its once magnificent garden but a distant memory. But Alfred Sommier, who had built his fortune in sugar refining, enthusiastically took over the enormous task of returning the estate to its original splendour. His children continued the project and today, his direct descendants, Patrice and Cristina de Vogüé, supported by their three sons, Jean-Charles, Alexandre and Ascanio, carry on a stewardship that began 140 years ago. Our teams are available to answer all your questions, Monday to Friday, from 9:30 AM to 5:30 PM.